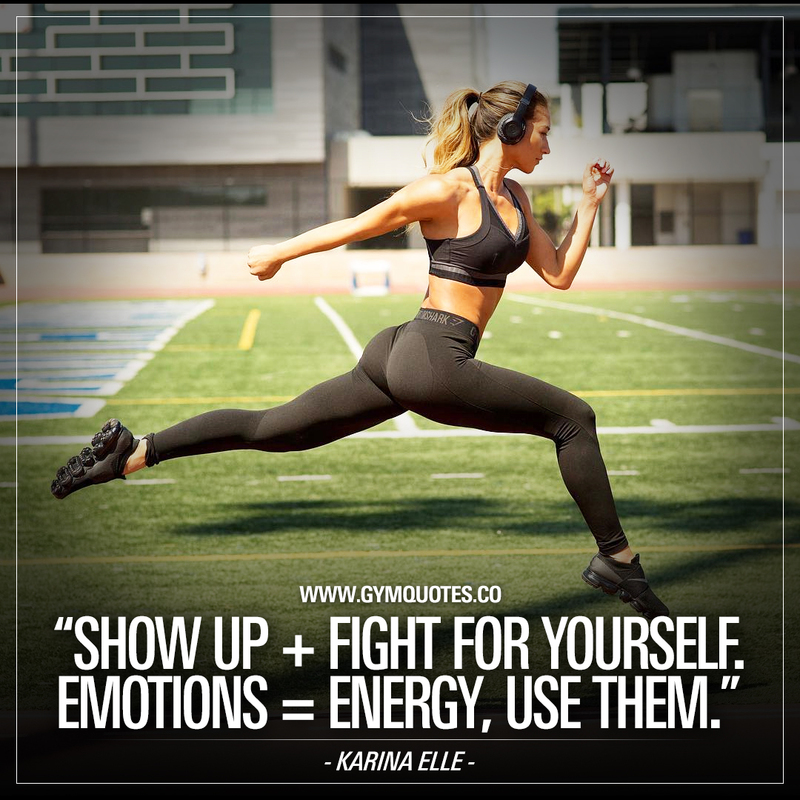 Karina Elle quote: Show up + fight for yourself. Emotions = energy, use them. Feel pain? Feel sad? That is an insane source of energy 👉 If you turn those emotions into energy! Feel happy? Use that in the gym to push even harder. The gym is an AWESOME place to turn your emotions into energy. But it doesn’t have to be in the gym. Feel heartbroken and sad? Push yourself harder when it comes to work. Turn that emotion into productivity. Feel great? Same thing there.. Turn your positive emotions into a serious mass of energy and be creative. Accomplish things! Want another quote from fitness model Karina Elle? Do it from the inside out. The body is a bonus.